Juventus have once again failed to get over the line in the Champions League and all their recent losses have come against teams that have taken the game to them. Juventus were knocked out of the Champions League by a young Ajax Amsterdam team in front of their home fans in Turin despite having the most prolific UCL player, Cristiano Ronaldo, in their ranks. Juventus had signed Ronaldo with the hope that the Portuguese superstar will help them achieve the long-awaited Champions League success after coming close in the last few years. However, that did not happen, not this season at least. 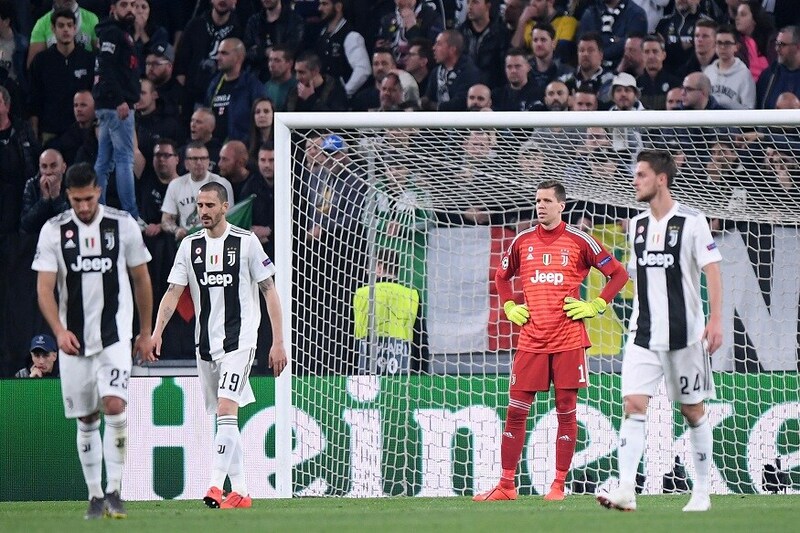 In the past four seasons, Juventus have reached two finals in the Europe’s elite competition – they lost one to Barcelona and the other to Real Madrid. They have also twice been eliminated at the quarter final stage – by Bayern Munich in 2015-16 season and by Real Madrid in the 2016-17 season. On Tuesday, they were dumped out of the Champions League by Ajax, a team whose average age is merely 24. While all the teams and matches mentioned above have been very different, there is one thing in common for all of Juventus’ opposition teams – they attack and attack hard. Juventus, as an Italian football team, are not used to the high tempo game that various other European teams play. Juventus is a typical Italian team – they sit back, defend deep and hope to spring a counter-attack. It works when their defence is super solid but if the teams find a way through, it is very difficult for Juventus to keep up with the high pace and find a goal themselves. In recent memory, Juventus’ comeback win against Atletico Madrid was marvelous. That was because of the intensity of football they played against Atletico. However, they were able to do that because Atletico also lacked pace and killing power up front. Atletico set up not to concede and rely on set pieces for goals. As long as Juventus could restrict the set piece threat, they were able to put more bodies up front to find the goal. And that worked, of course. However, till the time Juventus decide to get a little more adventurous in terms of their passing in the final third and put more men in attacking positions, they will struggle against teams that go hard at them. A number of times on Tuesday, Juventus had the chance to break through and take the game to Ajax but more often than not, Juventus chose to slow down the game and build from the back – playing safe rather than risking possession. This is where Ajax were able to get back into shape and concentrate on defending and stop the balls from reaching Cristiano Ronaldo. Keeping the ball and building from behind is a good strategy but only when a team can stitch quick passes with one-touch football in order to hurry their opponents. Juventus could not do that, and therefore, slowing down the game only spoiled their chances of hitting on the break. 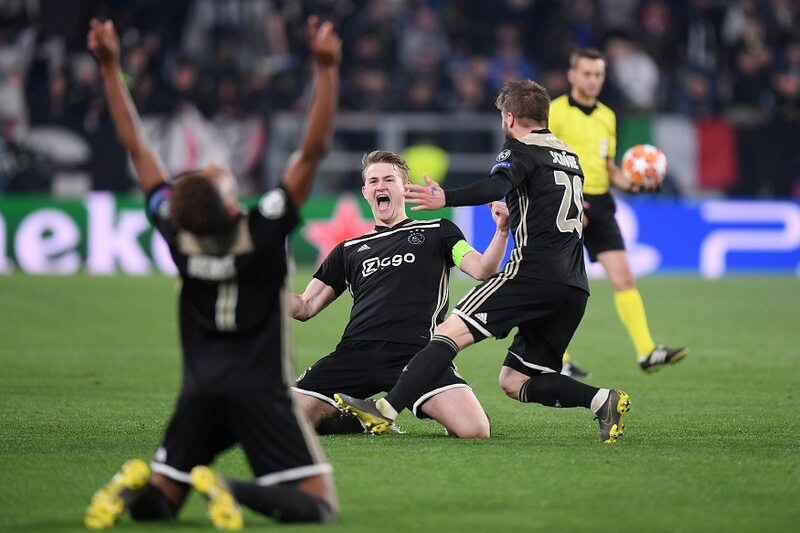 Ajax had pulled off a miracle and brilliant victory against Real Madrid in the Round of 16 as they downed the mighty Real at the Santiago Bernabeu. That seemed to be on Juventus’ mind when they took the field in Turin on Tuesday and they were more focused on clearing the ball and trying to keep Ajax away from their goal rather than building their own moves. Ajax’s midfield is adventurous and Juventus’ midfield failed to keep control of the ball in the middle. Ajax’s Donny van de Beek, Dusan Tadic, Frienkie de Jong and Hakim Ziyech were able to play the ball around and find gaps at their own pace because Juventus failed to pressurise them. This has happened to Juventus against Real and Barcelona as well, where they stayed too deep and tried to just hold off their opponents. Juventus is a solid team and they have a number of exciting talent but with modern football developing and becoming fast-paced, Juventus will either have to adopt that or adapt their game style to match it and hold it off.